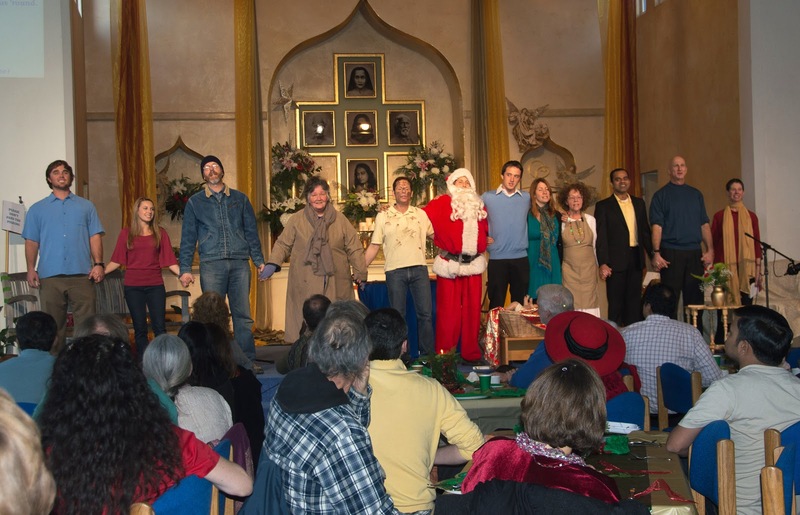 The final lap of our annual Christmas marathon began with our all-day meditation on Saturday the 21st. 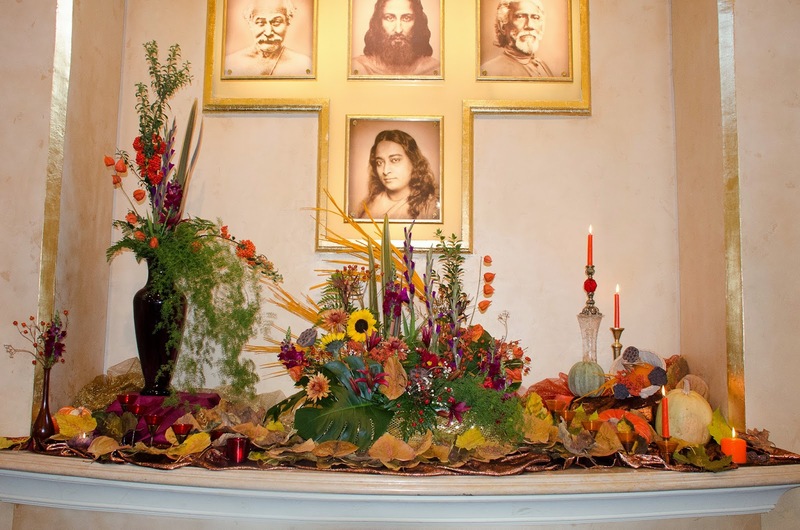 Some additions to the altar this year were some items of Swamiji’s — a shirt and a pair of slippers that he wore in the last days of his life. These were in the right-hand niche, where they will later have a more permanent installation, and they were the source of much inspiration and devotion for everyone gathered there. More photos of the day are here. Our caroling expedition around the neighborhood the following evening was a delight, as usual. This year we even absorbed a few neighbors into the group as we made our way around the Monroe loop. These included three small children with plastic trumpets, who provided an enthusiastic fanfare for the end of each carol. 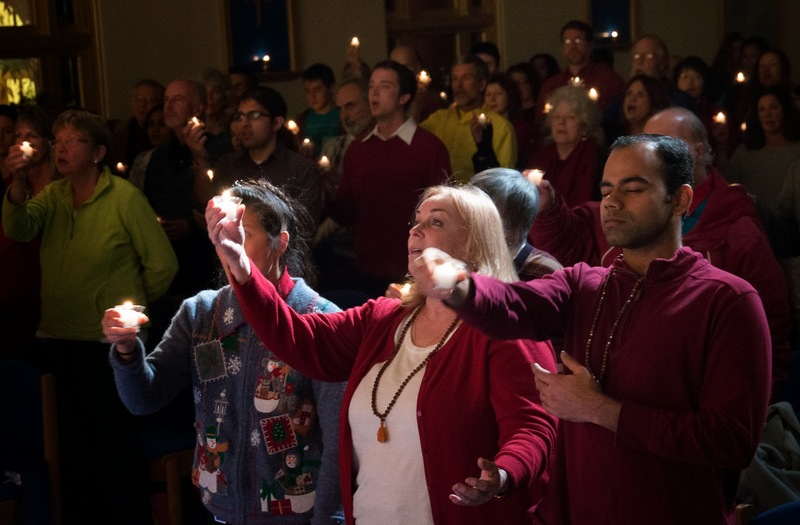 Our Christmas Eve service came next in the ever-alternating Christmas dance of inward and outward energies. This beautifully devotional evening comes across well in the photos, but to fully appreciate them requires a vivid imagining of the exquisite music by a small ensemble and several soloists. And then finally, Christmas Day. 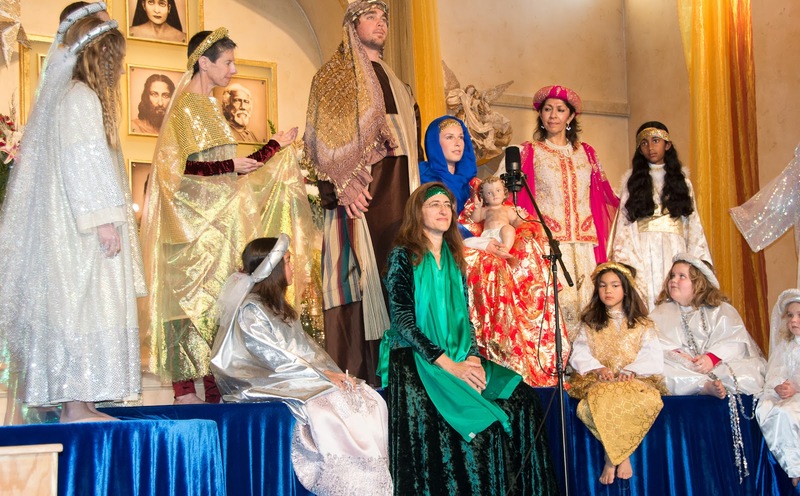 The family service was a glorious pageant full of angels, shepherds and kings of all sizes, and we got it filmed this year, so you can watch the entire thing here. And if you enjoy the photos, you can even peek backstage for the costuming and some outtakes. Ah, December... that magical month when there’s just too much fun to keep up with. In case you’ve managed to miss any of the recent goings-on, we’ll catch you up here before we get started again this weekend. 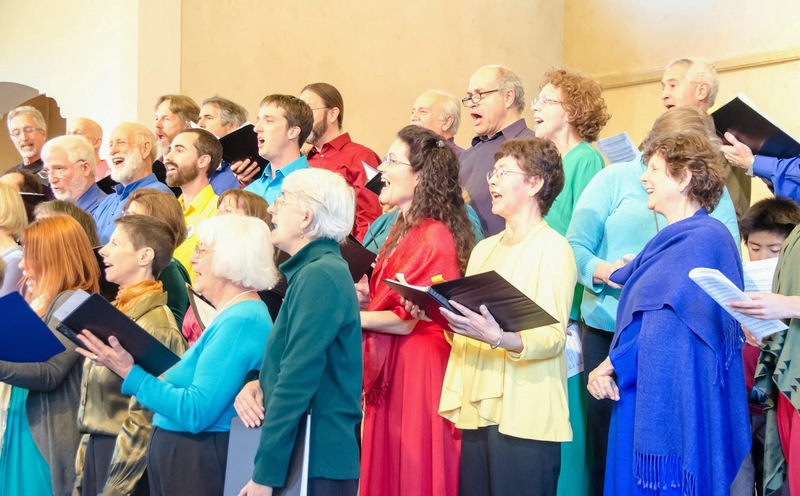 A couple of Sundays ago we enjoyed a post-service lunch of our traditional veggie chili and cornbread, and then a post-lunch choir concert. In addition to many of our Ananda Christmas standards, we also had a rousing medieval Alle Psallite (in Latin and German both), and an Ave Maria (in Russian) by Rachmaninoff. There are a few photos here, lots of mp3 recordings here, and we even managed to get a fun video of the men’s ensemble singing Riu Riu Chiu. 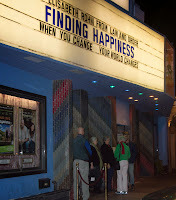 Last week we enjoyed the Bay Area theater premiere of our Finding Happiness movie. We rented the Aquarius Theater in Palo Alto for a Wednesday night and a Saturday morning showing, and had about 400 people total come see it. (Photos here.) 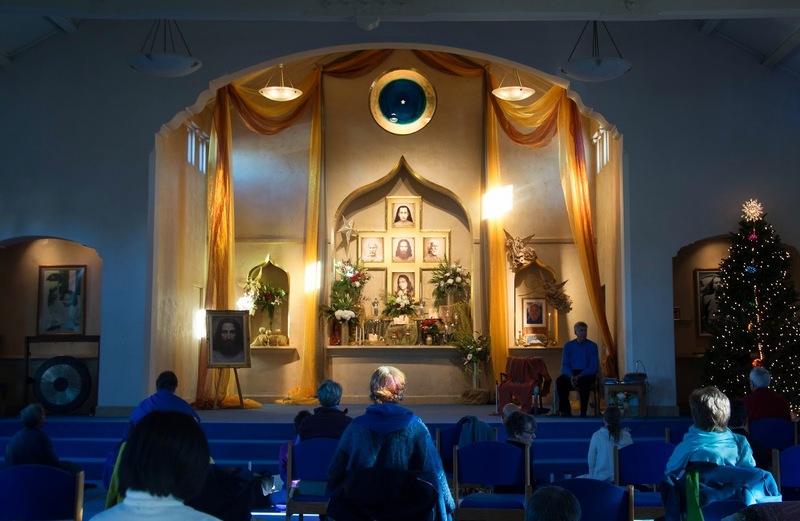 Some of the crowd was “us,” of course, but there were also many new people, as well as many friends and family who didn’t really know much about Ananda. And many positive reactions from people as they left the theatre, from smiles to tears (the good kind). 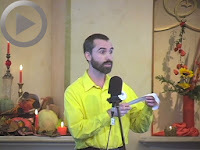 Tons of people bought DVDs for Christmas gifts, and one new person walked out and registered for 3 classes, including the 12-week Raja Yoga class. A very successful debut all around! And finally (for the moment) we had our Members’ Christmas Parties over the weekend. 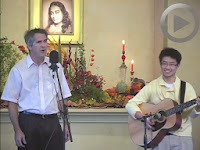 Two potluck evenings at Chela Bhavan enjoying the three S’s of the spiritual path: sweets, savories, and songs. (Did I get that right?) Photos are here. All caught up? Ready for the next week? 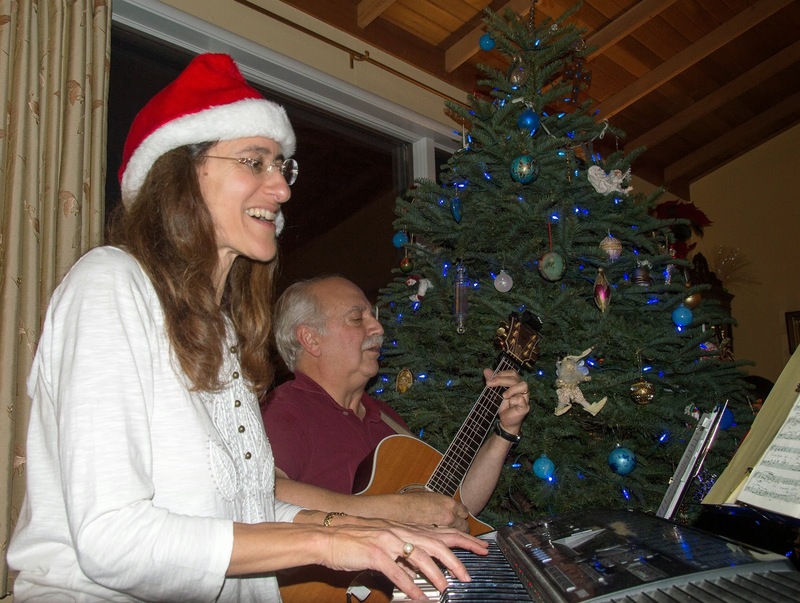 See you soon at the all-day meditation, the caroling party, Christmas Eve, and Christmas Day! 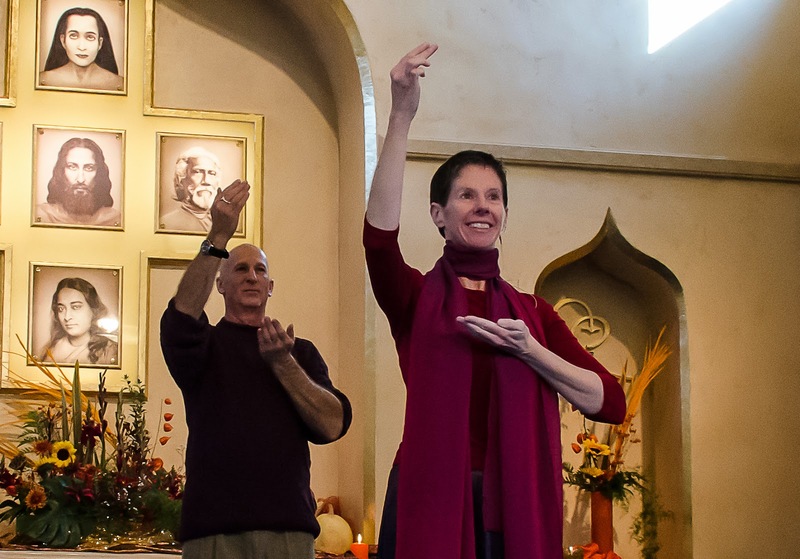 We got some audience participation going as well, when Rita and friends led the congregation in some simple dance movements to the chant “Door of My Heart.” And at the end of service, we each got to take an autumn leaf, inscribed with one of the 8 aspects of God, and offer it at the altar. Later these leaves were taken to Ananda Valley Farm to be added into the soil. That should result in some pretty tasty veggies by next harvest season. In between courses of our fabulously scrumptious Thanksgiving banquet (thanks to Robert and a host of volunteer cooks and helpers), we had another opportunity for creative expression. We all got paper and pens and did the “vertical poem” exercise (from one of Bharat’s famous Sharing Nature activities). 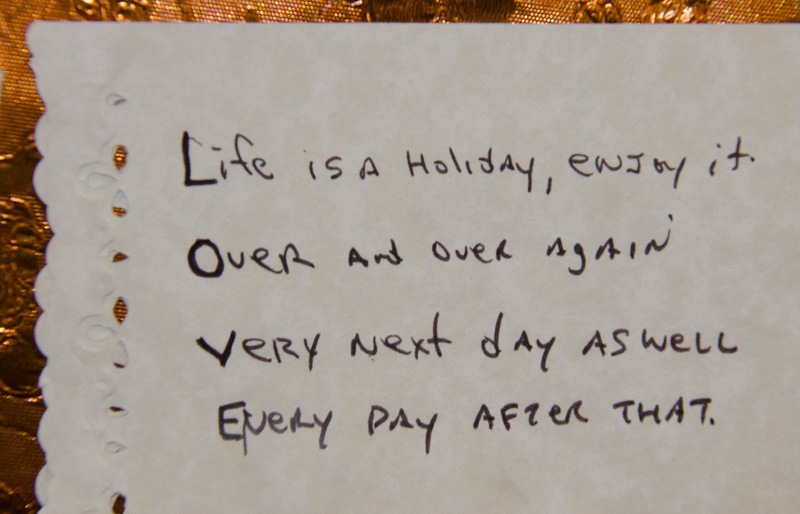 One holiday-related word written vertically down the side of the page provides the starting letters for each line of a poem, which then comes to life almost magically, no poetry experience required. Several people shared their poems at the microphone, and we posted them on boards for everyone to read, as well. I have to say, I’m dying to know what Thanksgiving is like in the home of whoever chose the word “warthogs” to base their poem on. Want to see some more poems, and more pictures? Check out all the photos of the day here.